MSF has opened a new hospital at the heart of vast Kutupalong-Balukhali camp providing refuge to some 700,000 Rohingya refugees in Bangladesh. Not hard to find, as it is on one of the many hills that form the landscape of Cox’s Bazar, its name says it all: “the hospital on the hill”. Construction began at the beginning of February and, with no time to waste, lasted just two months. 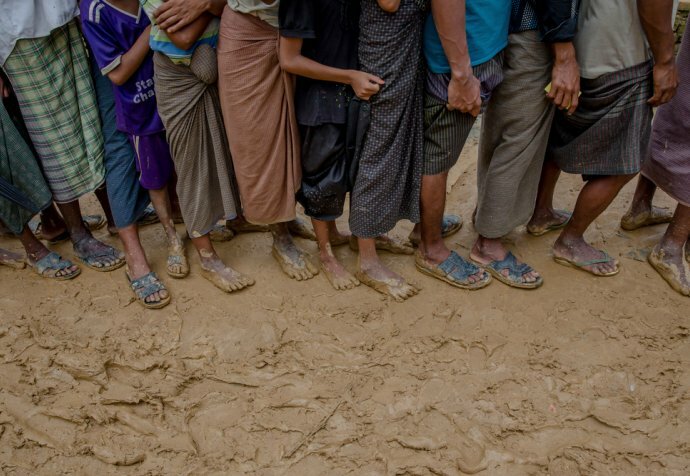 With capacity for 100 patients, the hospital was designed to respond to an emergency situation—the massive arrival of Rohingyas fleeing the violence in Myanmar that began on 25 August. The onset of the monsoon season will also make ensuring access to medical care in the camps extremely challenging. For these reasons, a semi-permanent facility was required. Each of its buildings is made of a metallic structure mounted on a concrete slab. The hospital has an emergency room, an intensive care unit, a medical analysis laboratory, inpatient departments for adults and children, a maternity department with a neo-natal care unit, an isolation unit for patients with infectious diseases and an intensive therapeutic feeding centre for severely malnourished children—of whom there are few, but whose numbers may well increase during the monsoon season. Our teams at the hospital are going to be able to treat health problems common in refugee camps, such as respiratory infections and diarrhoeas. They will also handle emergency cases. These may be victims of sexual violence or patients suffering with trauma injuries or respiratory distress. When surgery is required they’ll be taken, once their condition has stabilised, to a hospital with an operating theatre. The hospital offers a wide range of medical services and family planning consultations and menstrual regulation services are available for women. The hospital, that follows two other facilities MSF opened at the end of March and the beginning of April to offer wider access to secondary health care in the district of Cox’s Bazar, will be ready to handle epidemics like cholera and hepatitis E, which are common during the rainy season. 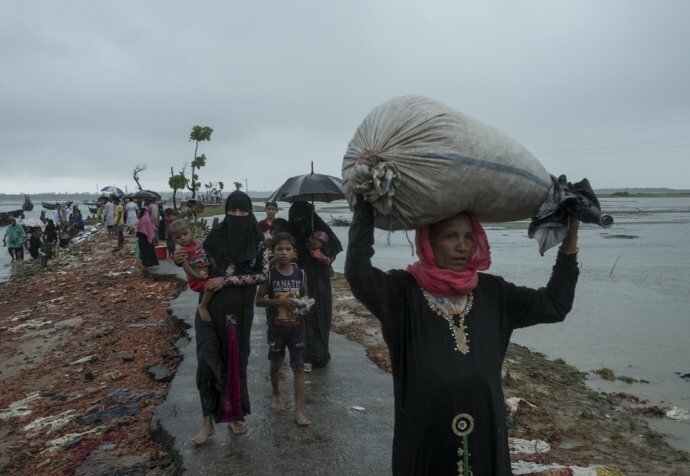 “With the flooding and accumulation of stagnant water, water- and mosquito-borne diseases are all the more likely to spread because of the Rohingyas’ severely overcrowded living conditions and the very poor sanitation”, adds Francesco Segoni. Many latrines have been dug in flood-prone areas and lots of wells are quite shallow, which contaminates surface water. And the boreholes MSF has dug to a depth of over 150 metres, like the one supplying water to “the hospital on the hill”, are not enough to meet all the camp’s needs for clean water.